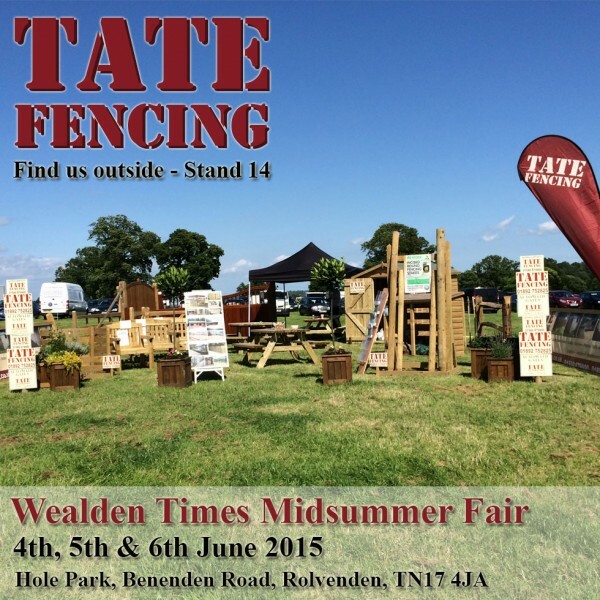 You are here: Home / Latest News / News / Our next show; The Wealden Times Midsummer Fair! Come & visit at our upcoming show; THE WEALDEN TIMES MIDSUMMER FAIR! 4th, 5th & 6th June 2015, at Hole Park, Rolvenden. Visit our outside stand (no.14) to view a selection of Tate Fencing products or to chat fencing, gates, timber buildings & more!